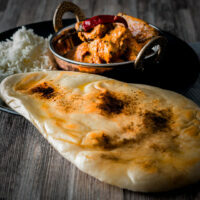 Calling Naan Bread the king of Indian Flat Breads may be controversial, but in my opinion the light fluffy naan is the finest mopping up device for a wet curry! To begin with calling naan bread ‘the King of Indian flatbreads’ may sound odd. But I am from Birmingham and was bought up on Balti and Naan bread. 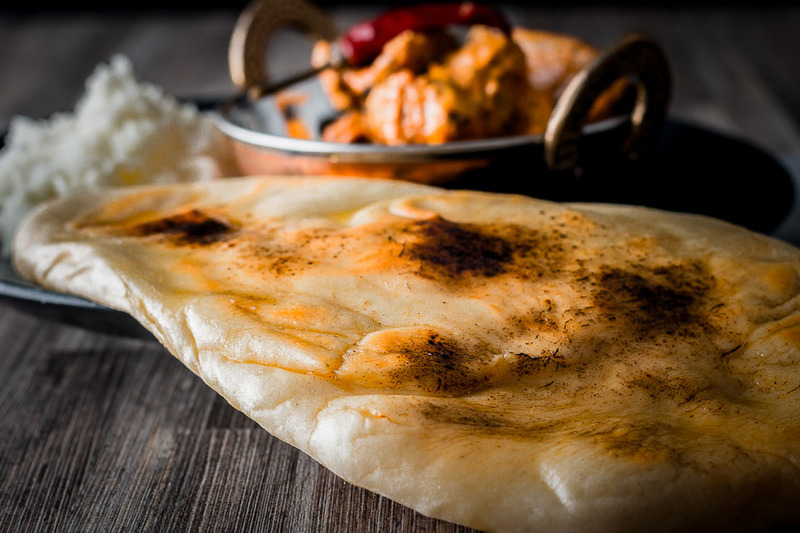 The Balti thing is a whole new post but Naan Bread are leavened flatbreads traditionally cooked on the inside wall of a tandoor oven. Now despite me threatening my wife with building a tandoor in our garden it is one of those jobs that I have not quite got round to. In all fairness the list is very long! Yeah yeah, because I’m a dude of course it is! But I have developed a way of knocking up my own Naan bread at home. Whilst they are not quite the same as a tandoor cooked ones they are purdy damn good even if I do say so myself. The cooking aspect takes very little time and some pretty hot temperatures and you are left with four wonderful ‘gravy mops’. Why four I hear you say. You cook for two you say. Well yes I do and not even I am greedy enough to eat two of these, but they freeze wonderfully and being able to pull them out of the freezer and put them in the oven whilst you make a quick curry is genius! I referred to Naan bread as gravy mops above and that is the way I see them. Wonderfully fluffy and delicious ways to ensure that you plate or bowl is a clean when you send it back as it was when it was taken out of the cupboard. Growing up in Birmingham it was very rare to hear anyone order a chapati or roti with their curry. It was Naan bread all the way which kinda fit with particular style of wet curry that was so common in Birmingham back in the 80’s and 90’s. Now my tastes and experiences have grown and I understand that my experiences may not be authentically ‘Indian’ but who cares, authenticity can take a stroll. 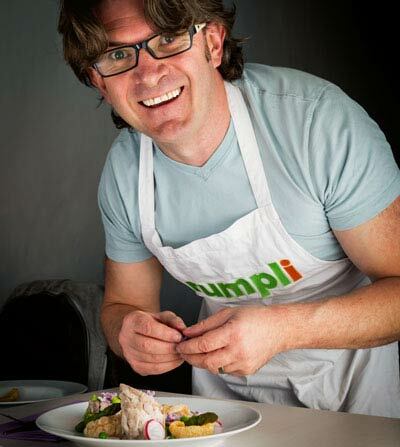 What matters with food is that you love it! That it makes you smile and that it makes life a fun place to be, and for me Naan bread does that. The fact that it does the same for my wife is a bonus, everyone knows a happy wife means a happy husband. Even if I did get moaned at for making these plain Naan rather than garlic naan! Go ahead make the your own, garlic, coriander, keema fill your boots and enjoy! 400 g Plain Flour, Sifted. Sift the flour, sugar and yeast into a bowl and add the salt. Heat heavy based frying pan as hot as you can get it and throw in a naan bread and cook on one side for 1-2 minutes until the side is blistered and started. 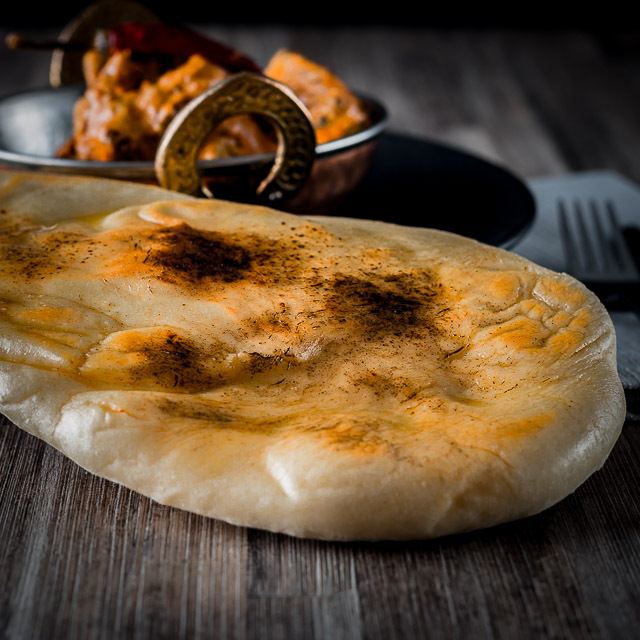 A feature of naan bread are those blistered blackened sections from the tandoor, replicate these by blasting for 10-15 seconds at random places with a blowtorch, it adds flavour as well as colour (optional). This makes a plain Naan Bread and I like to brush mine with melted ghee just before serving but you could add garlic or coriander during the final kneading stage or even stuff your naan with keema (minced meat curry) or cauliflower or... Let your imagination go wild stuff them with what ever you fancy. Perfect timing! I have been craving a good naan bread, and this popped out at me today and sounds fantastic 🙂 Added to the menu for the week!